A lot of what makes a DAW a DAW derives from what makes a PC a PC. The particular grab bag of functions for editing and performance is designed around the capabilities and interface of conventional desktop computers and notebooks. Many, many attempts to redefine what a DAW is have tended to wind up morphing back into the same thing. Now, forget for a second whether the iPad has really replaced your PC or not. One thing it has done is to finally reboot the discussion around what a workstation is. And some really interesting stuff has happened as a result. The funny thing is, this can take some time. (Hey, you probably spend months or even years on a piece of music; it makes sense the software would also evolve over longer spans of time than those throwaway venture-funded apps do.) So, Intua was one of the very first developers of any kind of mobile workstation. 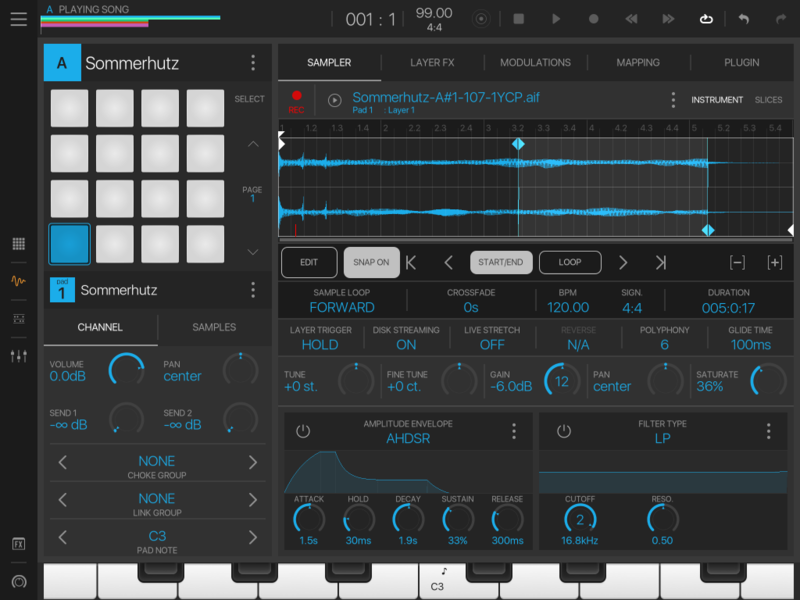 Its flagship BeatMaker app now is almost as old as apps on the iPhone are. 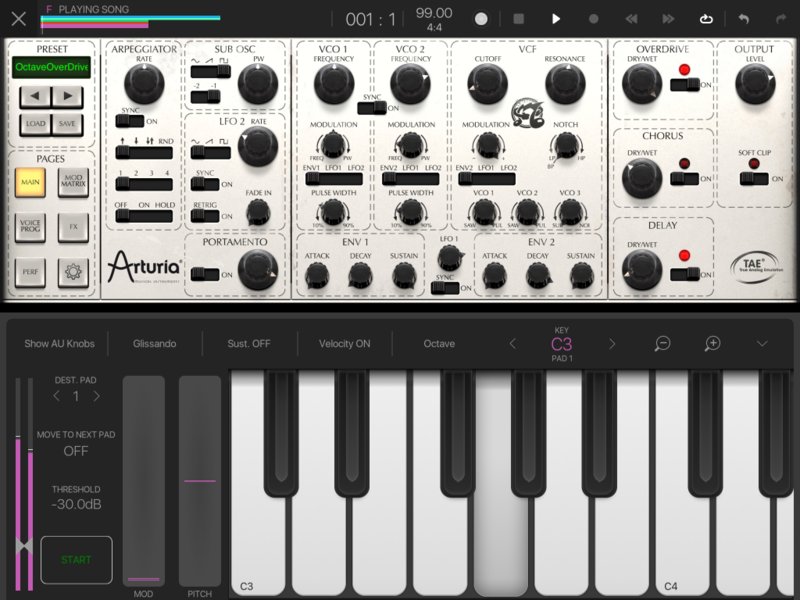 This weekend, though, is set to be a major landmark in its history and in iPad music making in general. Everyone I’ve talked to has asked me the question: have you seen it? 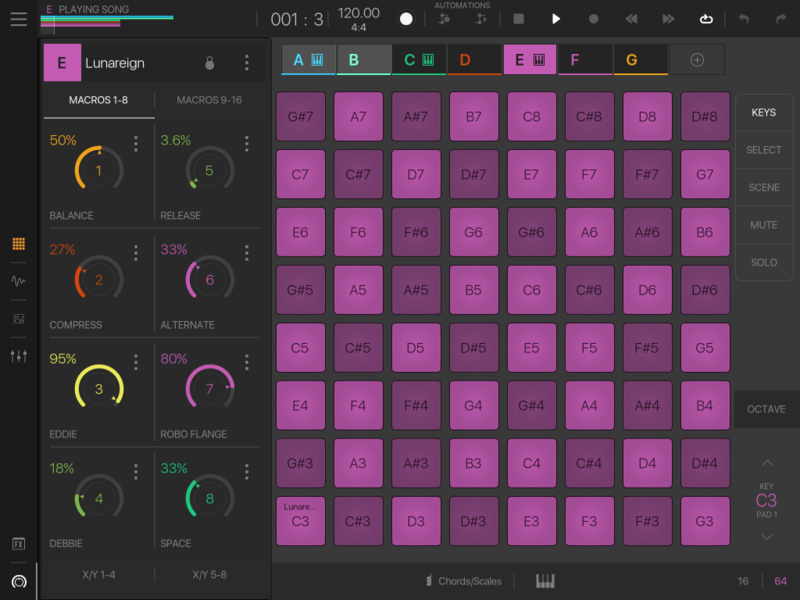 Set to launch on Saturday with a 7-day US$19.99 intro price, BeatMaker 3 builds on the basic ideas of the previous installments, but it’s something new. It can act as the center of other gear, as a mobile recording tool and MIDI hub or the glue that holds the rest of your studio together. It’s also a high-powered sampler/workstation, one in which each pad can become a different instrument. 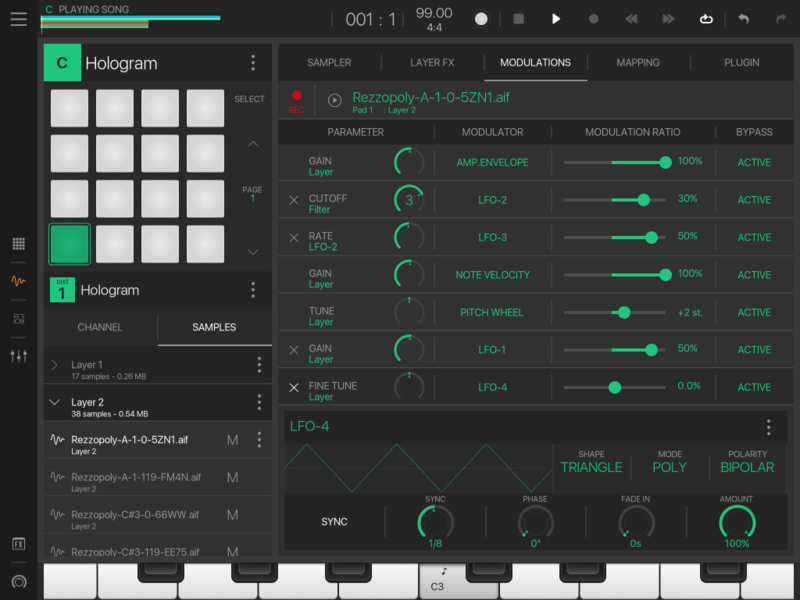 It’s sort of, then, the love child of a DAW, an MPC, and all the best mobile apps. There’s a huge feature set, and that’s worth checking out. But let’s cut to the basic elements of what makes this special – with pictures, natch. It looks pretty. I was going to say that in a fancier way, but – yeah, this. The redesigned UI makes you want to use this. It looks like a futuristic piece of software, not something stuck in the past. It looks at home on mobile. And that makes it easier to see what you’re doing and get stuff done … and to enjoy the process. It acts as a hub for all your other stuff. 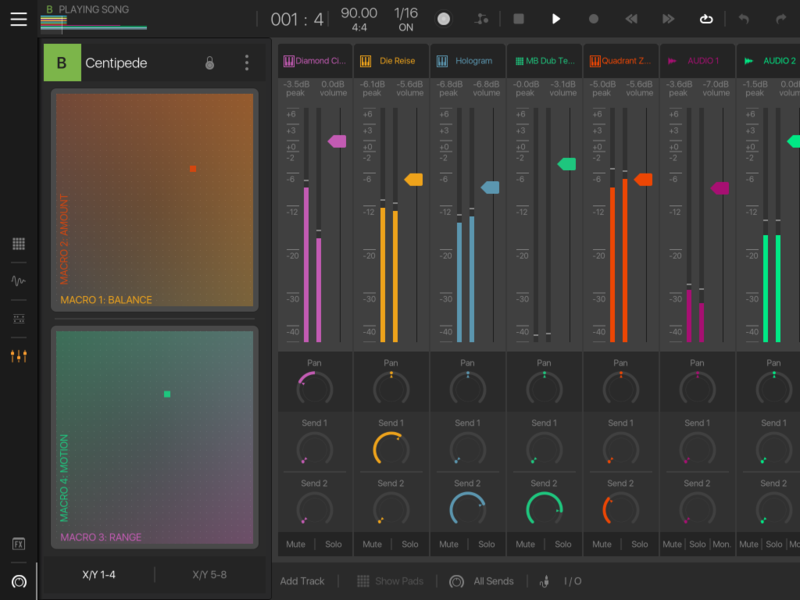 Audio Units V3, Inter App Audio, MIDI, and all that buzzword compliance is important, yes – but also the fact that you get powerful pages for controlling MIDI assignments and modulation and audio mixing brings all those things together. It does real-time time and pitch stretching and slicing. Frustratingly often you get some of this and not all of this… this does all of this. It’s a hugely-powerful sampler. This also works with plug-in and inter-app support, so this could be the best way to grab interesting and weird sounds from other apps. From there, it’s really a powerful sampler inside, with all the mapping and modulation you’d expect from a fairly expensive desktop tool. There’s an 8×8 mode. Hey, this deserves special mention – and is weirdly uncommon. But since it’s software, not hardware, you can switch between the two at will. You can still arrange stuff. 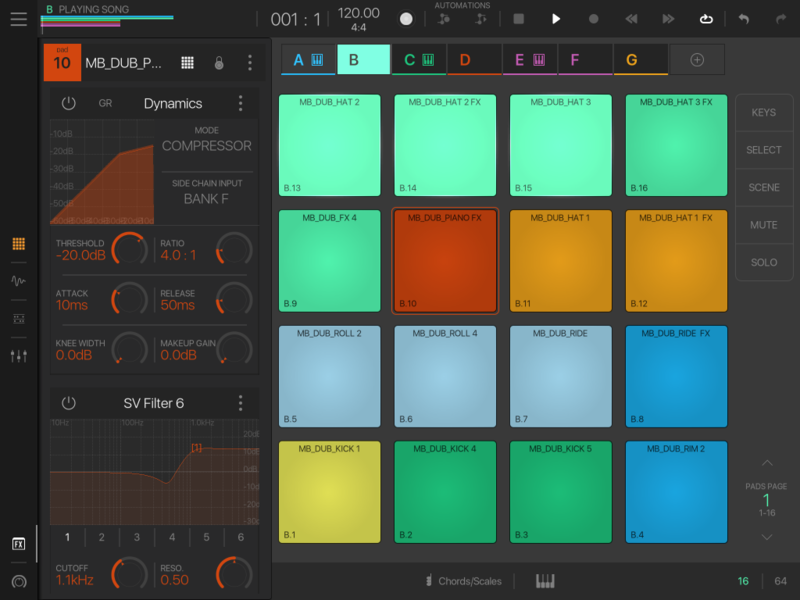 Instruments and audio tracks mean the MPC-style workflow still lets you finish tracks. It might not be an end-to-end production tool. Okay, this could be weird to say. But the assumption of a DAW was always that you start, work on, and finish a track in one environment. The very nature of a mobile device suggests that doesn’t have to be the case. You might start an idea in a standalone environment, then sample it, then sequence with it, then bring that into a desktop environment. Or you might take a desktop DAW idea you’ve got that needs some new level of focus, and rip it apart onto your iPad. The extensive app integration and file sharing features here, then, become make-or-break. Intua have been obsessive about giving users everything they want, so odds are if you’re asking about a spec – it’s there. What’s impressive, and what makes me want to try playing with this more this summer, is that you at last get all of that kitchen sink approach in an elegant, attractive, coherent package. In other words, this could be the killer iPad Pro app. I wasn’t in on the beta like my various colleagues, but I’m keen to get up to speed. Each pad now has extensive sound design possibilities, as seen in the effects layers here. There’s a deep editor inside each pad – more than you’d find in most hardware and software samplers, even. 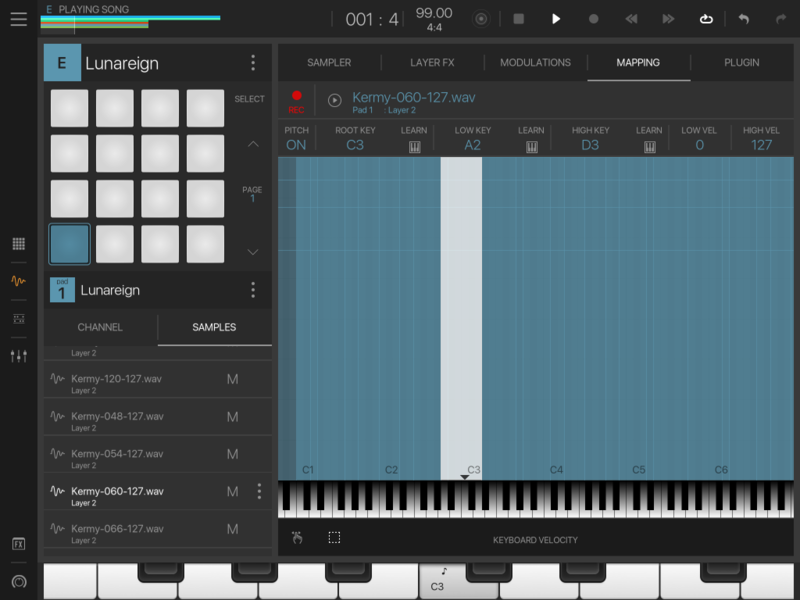 You can map multi-samples across a keyboard, too, so . An 8×8 grid means you can have 128 pads instead of 16. Plug-in hosting is coming at just the right moment, as developers on iOS start to embrace Apple’s mobile Audio Unit format. Mmmmmmmmodulation. That’s a big deal for the internal sound features, plug-in hosting, and external gear control alike. Yes, there’s an all-new mixer, and yes, it’s deeper (with powerful sends and so on) and easier to look at. But what makes this interesting from a touch and live performance perspective is the macro controls, available as 8-up encoders or these interesting X/Y pads. Also, I hear you kids love color gradients these days. Interestingly, staking out similar territory but with a very different philosophy is Modstep, which is also a hybrid of many of these but emphasizes steps sequencing and flatter, centralized user interactions. 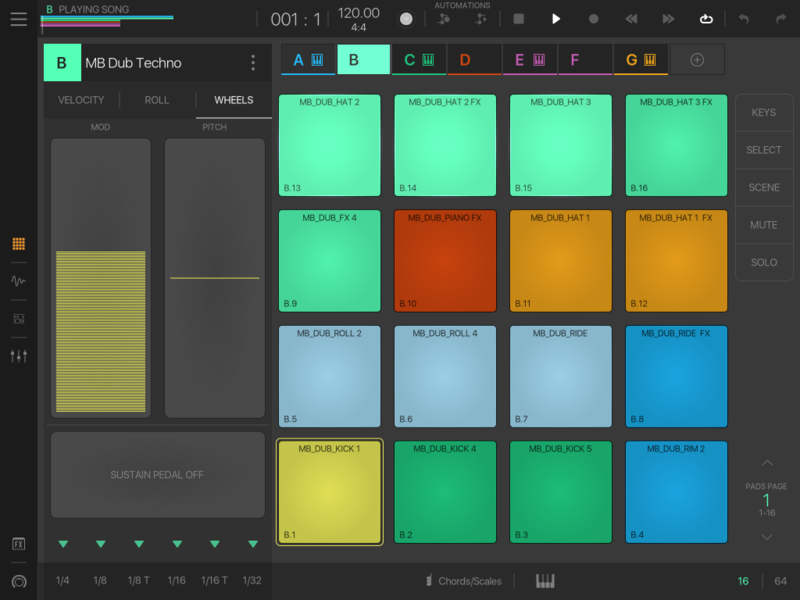 And likewise, the desktop software and hardware that most changes the workflow of how to produce new ideas also focuses on MPC-style, sampling-based work – think Native Instruments Maschine, the software/hardware hybrid new Akai MPCs, or even the reduced feature set you see when working with Ableton Push. All of this is about focusing on actually creating the sound, and less on the linear, arrangement-focused DAW of the past. It’ll be interesting to see how these categories shake out.